All Obox Themes come translation-ready. Instead of making you create a file containing the human-readable text from a particular theme, we’ve included that file with the theme itself. All you need to do is add the translations in your own language. For translations to take effect, your site must be set to this language locale in Settings > General, or a language switching plugin must be installed and the site switched to that locale by the reader. If you are using a plugin like WPML for language switching, it is strongly recommended you use it for theme translation also. For detailed instructions on using Loco Translate, please visit the Plugin homepage. WPML is the most robust translation plugin and comes with the benefit of premium support from the plugin authors. To translate your theme using WPML. go to WPML→Theme and Plugin Localization and either enable String Translation if you have the extension, or enter ocmx into the text domain field. 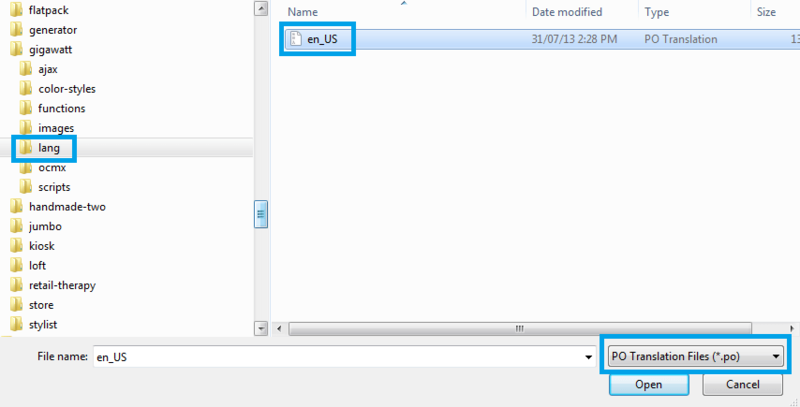 You must have a .mo file created in your language with Codestyling Localization for the second option to work.